Takamo was a play-by-mail game that was developed in 1982 by four college students at the University of Nebraska, Lincoln. While sitting around the student union one day, Bill Hayes, a journalism major, introduced his friends Al Edeker, Bill Bunselmeyer, and Randy Ritnour to play-by-mail games. Ritnour liked the concept and began to develop a science fiction game. Although loads of fun, it became painfully obvious that a hand-moderated game of the scale envisioned by the participants was physically impossible. Fortunately, personal computers had just made their debut. Randy, Al, Bill, and Bill formed a development team. The team formed a company. The company leased a computer and office space to develop Takamo. Randy handled the initial game design; Bill Hayes and Al Edeker drafted the rulebook and marketing materials; and Bill Bunselmeyer programmed the game. The game was released commercially in 1983. Players filled out turn sheets, mailed their orders in, the turns received that day were batch loaded, processed overnight, the printouts stuffed in envelopes and mailed back the next day with a fresh turn sheet to fill out. 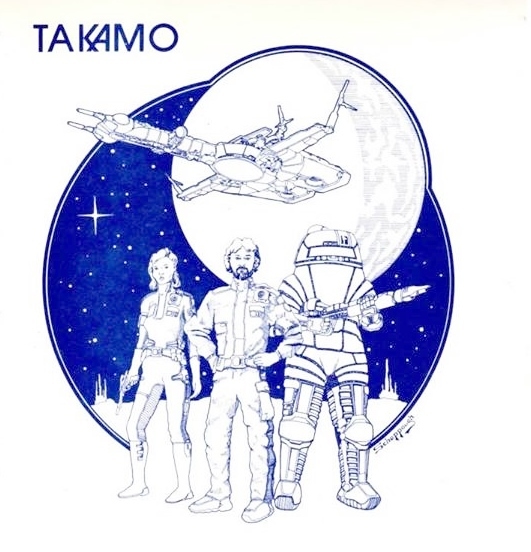 Takamo ran as a play-by-mail game for about fifteen years with nearly 10,000 players from across the world. By that time, the original developers had gone on to pursue other interests. After a hiatus of several years, Ritnour picked up the game and with the help of Thom Walla, redeveloped the game as a play-by-email game, which ran for another five years. The last run of Takamo play-by-email turns was in 2005. During the intervening years, Ritnour continued to work on the Takamo game system. Much of what he and others envisioned for the game was not possible given the computer technology at the time. Huge histories and ship designs were drafted and game system changes were written in the hope that he would eventually have the computer resources needed to create the game he envisioned. Now computer technology has caught up with the vision of Takamo as a massive multiplayer online game and it is time to make that vision a reality. Takamo Universe is that reality.